"It won't be long now. The inversion is coming." One more trailer to feature for this film, which is fine with us because the more attention we can bring to it, the better. Directed by Sarah Adina Smith, Buster's Mal Heart stars the very talented Rami Malek as a "troubled man on the run from fate" who suffers from a recurring dream. In the dream he's haunted by being lost at sea only to discover that the dream is real: He is one man in two bodies. The cast includes DJ Squalls, Kate Lyn Sheil, Lin Shaye, Toby Huss, Mark Kelly and Teresa Yenque. There have been two other trailers we've featured for this previously, but I'm still incredibly interested in it, and I plan on catching the film once it arrives in theaters. Take a look below. Rami Malek stars in Buster's Mal Heart as Jonah, a troubled man on the run from fate. Malek exposes the depths of Jonah's soul in this smart thriller, peppered with dark humor and laden with interlocking mystery. 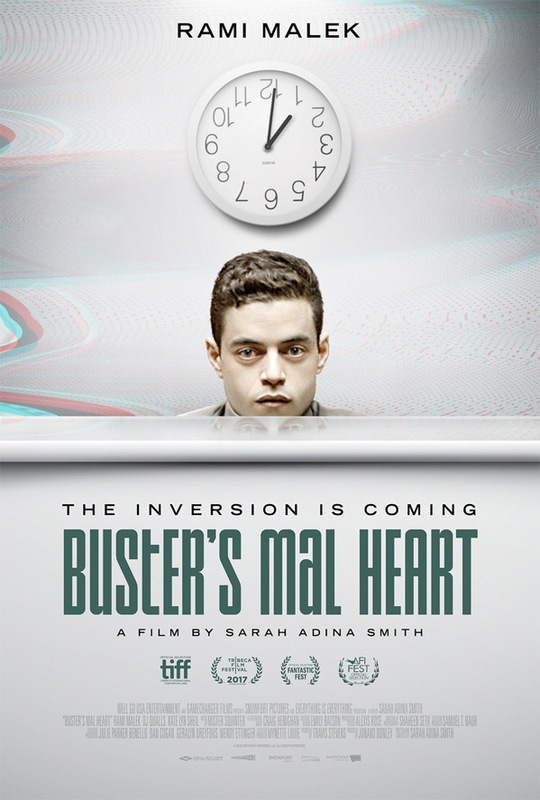 From the bold cinematic mind of Sarah Adina Smith, Buster's Mal Heart is a visceral mind bender that will provoke discussion long after it turns your world upside down. Buster's Mal Heart is both written and directed by young American filmmaker Sarah Adina Smith, making her second feature after The Midnight Swim and a few shorts previously. The film first premiered at the Toronto Film Festival last year. Well Go USA will open Buster's Mal Heart in select theaters starting April 28th this spring. Curious?